Wavefront sensing (WFS) and control are at the heart of Adaptive Optics (AO) and often dictate the performance. Various challenges are raised by the astrophysics programs like the characterization of exoplanets, the study of the stellar populations or the observation of the very first galaxies, for instance. For such programs, the requirements are to sense and control the wave-front in wide field of view, to combine natural and laser guide stars, to hunt for high sensitivity or high dynamics. 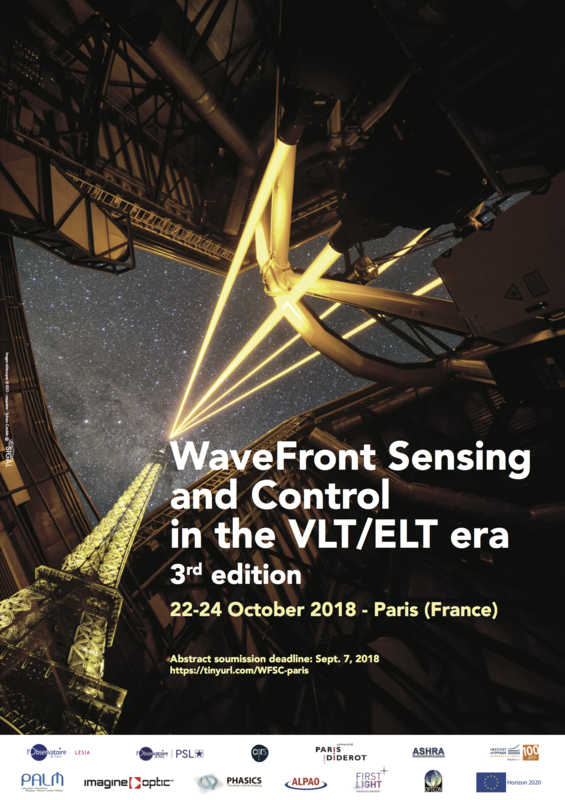 After the two first editions of the workshop on Wavefront sensing in the VLT/ELT era held in Marseille in October 2016 and in Padova in October 2017, we organized the third edition in collaboration between Observatoire de Paris and Institut d'Optique Graduate School, and with a broaden scope to include AO control topics. It was held in Paris from the 22nd to the 24th of October 2018. The workshop was a great success with 82 registered participants. 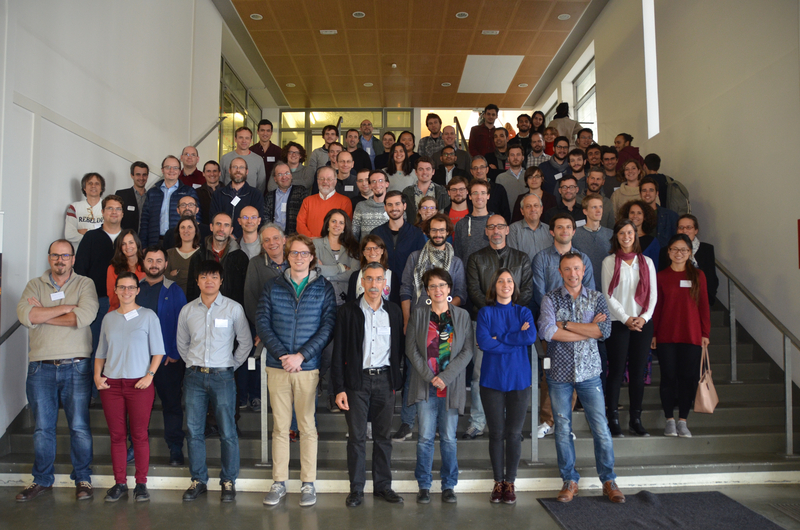 41 talks, including 2 invited ones from V. Viotto and B. Sedghi, have been given covering the aforementioned sessions.